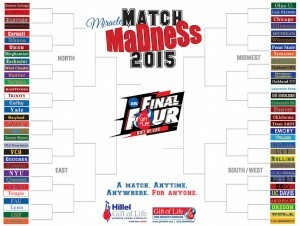 The Miracle Match Madness Program, which is being organised by our American partners Gift of Life, is well under way. Michael Silverstein, one of our Campus Ambassador’s at the University of Rochester ran a donor registration event swabbing 186 people over the weekend. Well done Michael ! That’s a fabulous achievement. And there’s more yet to come. Almost as amazing is Michael’s novel ‘call to action’ video – see below – which is well worth a watch ! 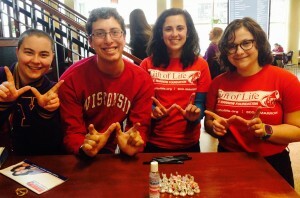 Well done also to Haylee Davis at the University of Wisconsin Hillel Foundation who swabbed 48 others besides. Wonderful. at a training drive during their seminar. 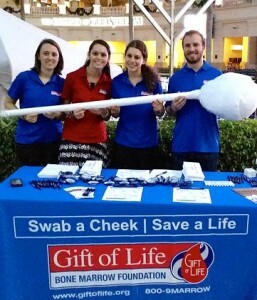 Gift of Life is recruiting 100 paid student ambassadors to run donor drives within their college communities. Training seminars will take place in August in Boca Raton, Florida. If you, or someone you know is looking for ‪#‎morethanajob‬ for the 2015-16 academic year on college campuses across America, then for more information and to find out how to apply, please click here. 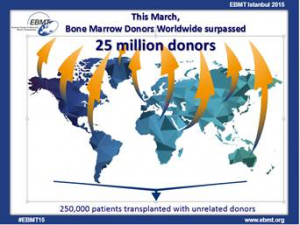 25 million people are currently listed as potential marrow donors on worldwide marrow donor registries! This record number of registry members gives greater hope to blood cancer patients, caregivers and healthcare professionals around the world. Register as a potential stem cell donor today ! 3 March 2015: We are delighted to announce our new partnership with American Registry, Gift of Life Bone Marrow Foundation, in conjunction with their Campus Ambassador program. 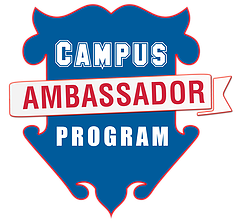 The Campus Ambassador Program enlists students across the United States for a paid internship to run cheek swab drives at their colleges and are launching the applications process for the Program today. By empowering students to reach out to their peers, the chances of finding a match for patients in need rises dramatically due to high eligibility rates of college-aged donors. The math is simple: the more younger donors who sign up, the more lives are saved. The Campus Ambassador Program includes a system of awards that will be given out to specific Ambassadors who exceed expectations. 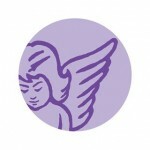 There’s an award named after each partner, which includes ‘The Margot Martini Memorial Award’. Gift of Life Bone Marrow Foundation helps children and adults suffering from leukemia, lymphoma, other cancers and genetic disorders find “their match”: anonymous life-saving donors for blood and marrow transplants. As one of the world’s leading registries, the vision of Gift of Life is simple: A match. Anytime. Anywhere. For anyone. 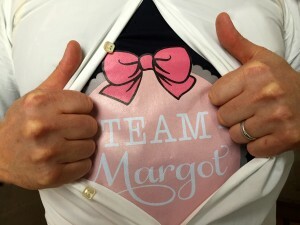 Please spread the word & support Team Margot and Gift of Life: 2 organizations. 1 mission. Find out how you can join the stem cell registry via Gift of Life here. You can save a life. And without having to give your own. Be an everyday hero and join the stem cell registry. The stem cell is the only organ you can give which then replenishes itself. At the very least, you will be giving someone extended time with their family and loved ones – a priceless gift. We are unspeakably grateful to Margot’s anonymous German donor for having had that extra time with our daughter. Visit: Delete Blood Cancer or Gift of Life to get started ! Ineligible ? Already joined ? Then please encourage Just One More to do the same. 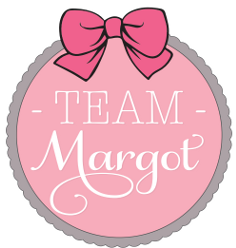 Team Margot is supporting S.A.M. (Sharing America’s Marrow) in their ’50k 50 States’ road trip which began in January 2015 and are following their blog (please scroll to the bottom of this webpage). After Sam Kimura was diagnosed with severe aplastic anemia in 2010, she was told that she would need a bone marrow transplant in order to be cured. Because her sister Alex wasn’t a match for the transplant, Sam had to look to the National Bone Marrow Donor Registry in hopes of finding someone whose tissue type matched hers out of the millions of people signed up. Not one was a match. Unfortunately Sam’s case is not unique and thousands of patients with bone marrow diseases and blood cancers are unable to find transplant matches simply because there are not enough donors signed up. 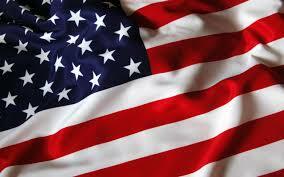 Sharing America’s Marrow (SAM) was created to change this. Sam and Alex, along with their best friend Taylor Shorten, have started on a journey across the country to spread the word about the need for donors, to squash the myths about the donation process, and to turn regular people into heroes by giving them the opportunity to save a life. They are going to go to colleges, churches, concerts, sporting events, festivals, and anywhere else where they can sign up potential donors. They created SAM to bring life to those who are fighting for theirs, not just by finding transplant matches, but by fostering hope, inspiring adventure, and generating a supportive and passionate community dedicated to living each day to its fullest. By the end of the journey, SAM hopes to have started the positive conversation about bone marrow donation in this country, helping people understand that they can save another human being’s life in their lifetime. 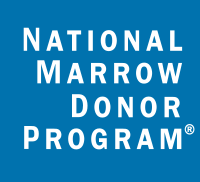 Their goal is to register at least 50,000 donors in 50 states in 2015, and that for years to come, thousands of others will also seek out the opportunity to be a hero. With this effort, thousand of lives could be saved because matches will be found for these patients in need. And maybe they will even find a hero for Sam too. SAM (Sharing America’s Marrow) + Delete Blood Cancer 2015. 17 December 2014 Team Margot Donor registration event at A+E Networks in New York during their Office Christmas party. Thank you to our friends Christian & Gretchen Drobnyk (pictured above) for all their support and for making this happen. 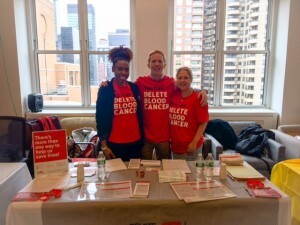 Christian Drobnyk & Dalia Tabrys are pictured with Jennifer Daniel (left) from Delete Blood Cancer, NY. 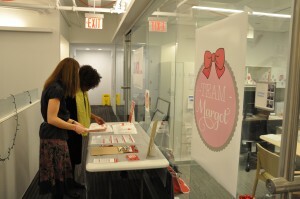 5 November 2014 New York: Team Margot USA launches with a donor drive event registering 30 people at A + E Networks. 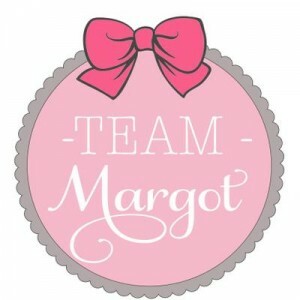 When doing so, please mention Team Margot.